Will’s experience with the Child Life team, especially Molly, resonated with him. Following a full recovery, Will rallied his neighborhood friends together to raise money for the Child Life Program by selling lemonade. 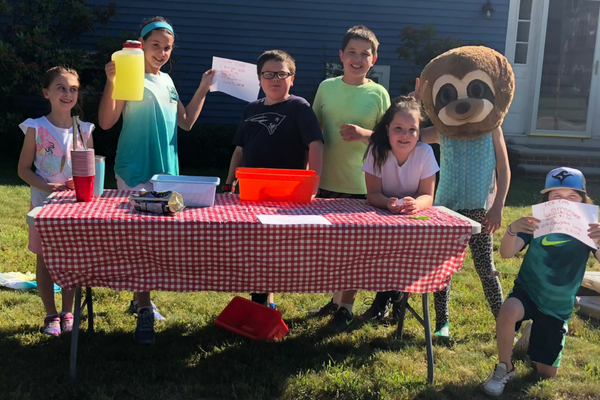 The lemonade stand was a hit and they raised more than $40, which would go on to help patients just like Will feel more comfortable during a hospital stay. “They did so much for me, and it makes me happy to do the same for them,” he adds. Just as there is no limit to what it means for BMC to care for its patients, there is no limit to what you can do to help change the thousands of lives walking through our doors every year. Join Team BMC in the Rodman Ride for Kids, a 25-, 50- or 100-mile non-competitive cycling tour which helps BMC make a difference in the lives of our littlest patients.